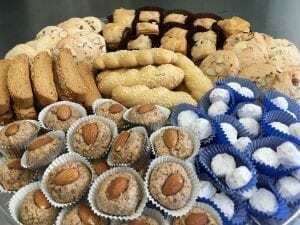 These are just some of the traditional desserts served and enjoyed in Greek homes, now available to be experienced by all. Glyká-Sweets’ cookies and pastries appeal to customers with adventurous palates, looking for a traditional ethnic taste. Made in America. Originated in Greece. Glyká-Sweets’ delicacies are available online and can be found in stores around the Bay Area. They will be showcasing their products at the Specialty Food Association’s Winter Fancy Food Show January 22-24 at Moscone Center in San Francisco with Savor California at booth #604.